Cut beef in 1-1/4-in. cubes; place in large resealable plastic bag. In a bowl, combine the wine, soy sauce, oil, ginger, garlic and tarragon; pour 2/3 cup marinade over beef. Seal bag; let stand at room temperature for 30 minutes. Set aside remaining marinade for basting. Drain and discard marinade from beef. 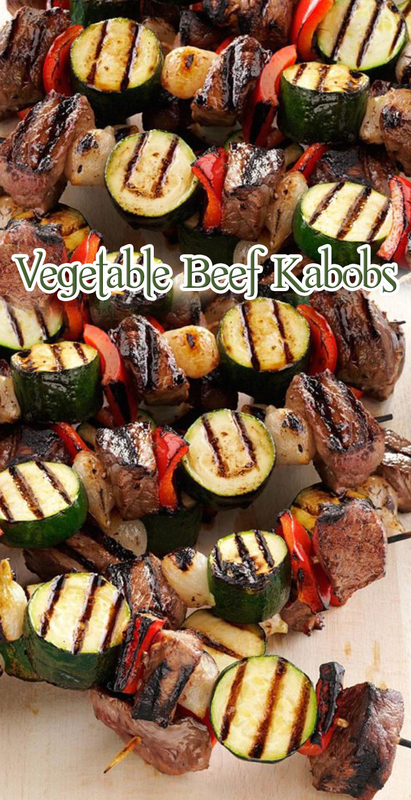 Thread the meat, onions, zucchini and peppers alternately on six metal or soaked wooden skewers. Grill over medium-hot heat for 10-12 minutes or until meat reaches desired doneness, turning and basting occasionally with reserved marinade.